How do I make an appeal for a place at this School? If a place has been refused for your child at this school and you wish to appeal against this decision you can appeal online or in writing. 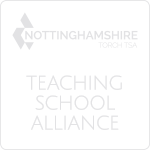 Information on how to appeal can be found at http://www.nottinghamshire.gov.uk/education/schools-admissions/making-a-school-admission-appeal/ or by calling 0300 500 80 80. Alternatively, you can complete an appeal form: please click here. For appeals during the 2019/20 admissions round (to start Year 7 in September 2019), you should return your completed form to Nottinghamshire County Council by 28 March 2019. Note:- Appeals lodged after the 28 March 2019 will, where possible, be heard by 17 June 2019 . Where it is not possible to hear the appeal by 17 June 2019 it will be heard within 30 school days of the date of receipt. 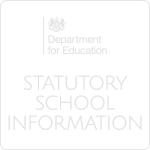 If your application was made after 31 October 2018 (closing date for receipt of applications for secondary school places) appeals will, where possible, be heard by 17 June 2019. Where it is not possible to hear the appeal by 17 June 2019 it will be heard within 30 school days of the appeal being lodged. 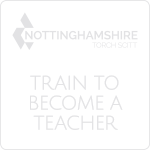 For other appeals such as transfer and in-year admissions (moving from one school to another during the school year) please return your form to Nottinghamshire County Council within 4 weeks of the date of your refusal letter. These appeals will be heard within 30 school days of the appeal being lodged. Decision letters are sent out within 5 school days of the hearing wherever possible. Please click here for further 'Guidance for Parents and Carers'.